Sybernautix Solutions - Manufacturer of identity management solution, fingerprint time attendance system & secure fingerprint reader in Hyderabad, Telangana. It doesn’t matter the size of your organization one thing all businesses have in common is that payroll is a businesses biggest expense and it’s biggest asset. Sybernautix is dedicated to make sure your labour forces time is optimized. Companies are now realizing tremendous cost savings by optimizing the management of their most valuable assets of all their workforce. The SyberDigiID-Scan is a very compact high quality USB fingerprint reader. Performing biometric ID authentication with 1:1 fingerprint matching and the reader’s high resolution capacitive sensor also allows for 1:N biometric identification. Sybernautix provides a complete end-to-end solution specifically designed to meet the unique needs of the Immigration, Airport and Airline market - accuracy, simplicity and versatility. Sybernautix combines the latest technologies with proven experience in biometrics, integration, implementation and customer service that ensure our solutions provide trusted identification. Sybernautix supports customers in building enterprise solutions requiring the highest level of security, performance, scalability, reliability and privacy. Sybernautix fingerprint access control, SyberDigiID-Sentry integrates seamlessly with all platforms and applications, manages the identity life cycle of small and large populations and delivers a clear return-on-investment. 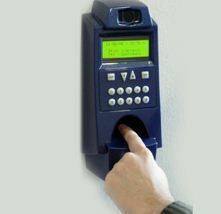 Biometric security systems are used very effectively as access control systems in many areas such as Government, Aviation, Financial, Healthcare and Private Organizations. Facial recognition technology is used in security applications such as gaining access to buildings, zones, securing gates or even borders and only providing entry after positive identification. 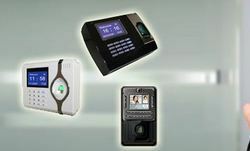 Biometric security systems are used very effectively as logical access control systems in many areas such as Government, Financial, Health care and Private organizations. Biometric solutions offers high security, reduce identity fraud and protect valuable data while the privacy of customer confidential information as well as employees all in a highly cost effective and security with high user convenience. Sybernautix's multi-biometric system, SyberID allow the automated recognition of individuals based on their behavioural and biological characteristics and thus utilize the rich set of anatomical characteristics related to the structure of the body (face, finger, iris, etc).